First, an expanded bicycle and pedestrian network. Second, a walkable, economically thriving downtown. Two plans are underway to develop these visions. 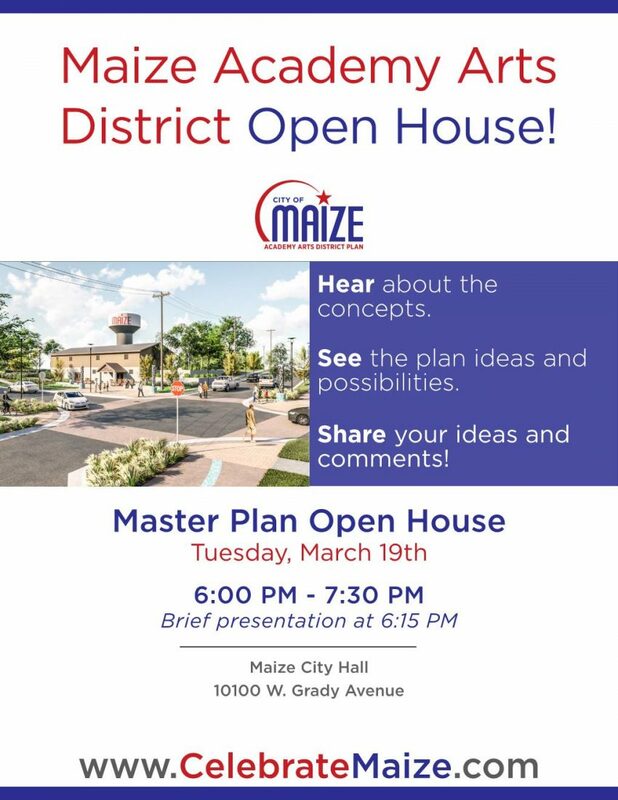 To ensure the plans represent the vision of those who live, work, and play in Maize, we encourage you to share your opinions and join in the public participation process, consisting of numerous interviews, workshops, and public meetings in the coming months. Learn how to participate or contact us directly by visiting the “get involved” tab. You can also learn more about the process by exploring this project website which will remain current throughout the process. We need your help to shape the future of Maize. Check back often and get involved! The City is developing a plan, Maize in Motion, to make bicycling and walking in Maize easier and safer. Click here for more information and here for updates on the plan. Or simply follow the tabs at the top of the page! The Academy Arts District Master Plan will create a vision for a new downtown environment in Maize to stimulate private investment and create memories for all ages. Click here for more information and here for updates on the plan. Or simply follow the tabs at the top of the page!